FREE HQhair gift when you spend £50. Use code: BASKET*Exclusions apply. 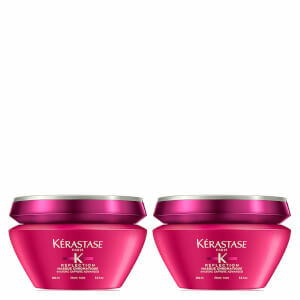 Protect and condition colour-treated hair with Kérastase Reflection Masque Chromatique Thick Hair Mask, a nourishing hair mask specially developed to enhance and protect the colour intensity of colour-treated or highlighted, thick hair. Promoting prolonged colour vibrancy, the deep conditioning treatment utilises Système Capture Advanced to help neutralise external aggressors that can compromise colour, and a blend of chelators, UV Filters and Vitamin E to help prevent colour fading caused by water particles and oxidative aggressors. Leaving hair feeling soft, supple and smooth with enhanced shine, it contains Rice Bran Oil to emphasise light refraction so hair looks glossy, healthy and vibrant. Expect vivid colour and light-reflecting shine, for longer. Ideal for thick, sensitised, colour-treated or highlighted hair. Apply to shampooed and towel-dried hair. Massage through lengths and tips. Leave on for 2 to 3 minutes. Rinse thoroughly. In case of contact with eyes, rinse them immediately. 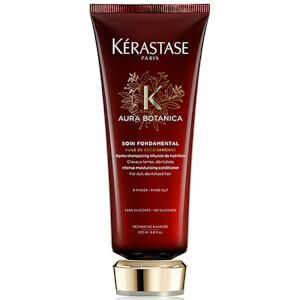 Save up to 30% PLUS receive a FREE full size Kérastase Aura Botanica Soin Fondamental Conditioner when you spend £70 on Kérastase.